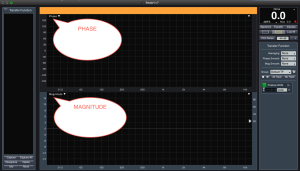 A transfer function compares two signals and shows the frequency, phase and impulse difference between the two. 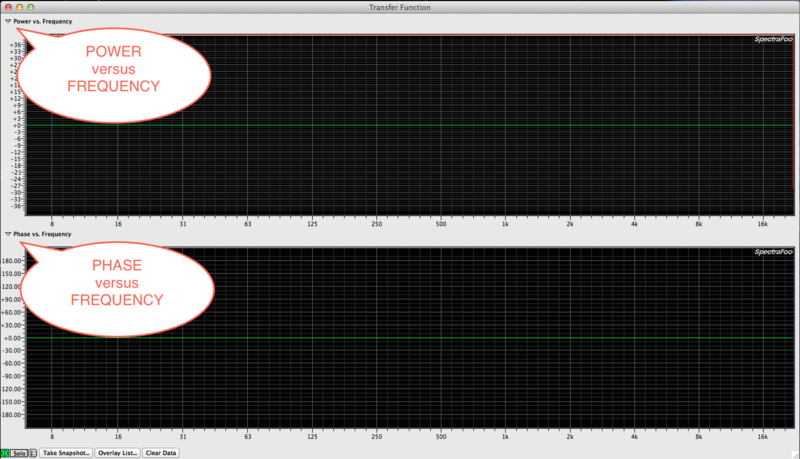 Because of this, it’s absolutely essential to be clear on which signal is being compared to which signal at all times. 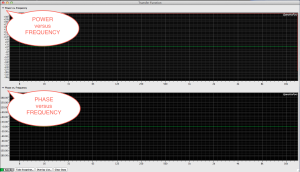 One signal is considered the reference while the other is the comparison to that reference. They are not interchangeable as a general rule. 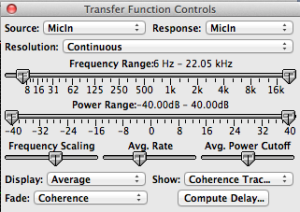 Note that unlike an RTA which is a single channel measurement, a transfer functions is a dual channel measurement (differential). In SMAART, the measurement signal is the first assignment box & the reference signal is the second assignment box by default. In Spectra Foo, the SOURCE is the first assignable box & the RESPONSE is the second assignable box. Notice this is completely different which means that if you have both applications open and configured the same, the measurement traces between the two programs will be inverted from each other. If you don’t configure your signal assignments correctly your traces will be inverted. For example SMAART 7 defaults to having the PHASE window above the MAGNITUDE window where SpectraFoo defaults to the reverse configuration. Consequently the tool is of no value if the user doesn’t know what each trace indicates and which signal is being compared to the other. What is a tranfer function good for? 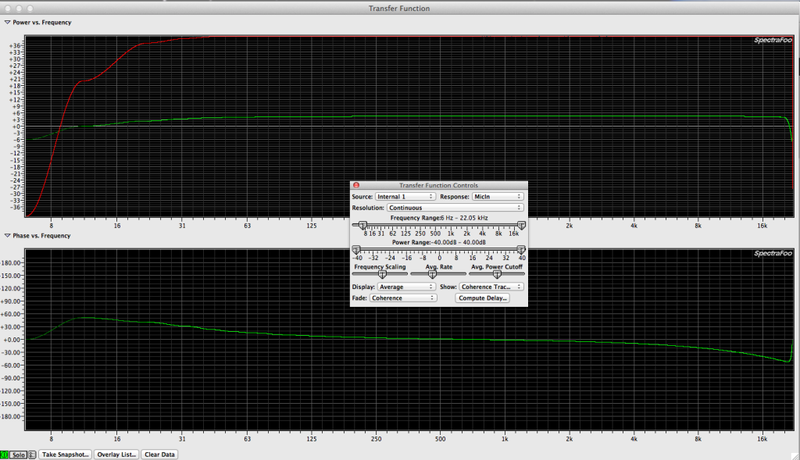 Comparing the input of a device to it’s output to verify proper gain / phase / frequency response through the device. Basically any two audio mic or line level signals can be compared. With the right type of conversion box you may even be able to measurement a line level signal against a higher voltage signal. For example, the input of a power amp against it’s output. DO NOT ATTEMPT TO DO THIS WITHOUT THE PROPERTY SIGNAL REDUCTION CIRCUITRY!! !